The Aquarian Existence. An era within which even the simplest approach to life is filled with complexities we never could have foretold. Our vocations are harder to define, trickier to manage, and, often, less fiscally profitable than jobs used to be. Relationships ask more of us. We ask more of ourselves. And ALL of the baggage of human history has come out into the open, daring us to finally deal with the heavy, scary, complex issues that have been overlooked for far too long. Fortunately we have incredible tools at our fingertips; tools that help us to process the feelings, overcome the blocks, empower ourselves, spring into action, and inspire each other. Tools like Kundalini Yoga, Meditation, and Sacred Sound Current. Tools that increase our peace and multiply our joy. How absolutely lucky we are. Join Jai-Jagdeesh for a sweet evening of practice & presence. Come move your body, melt your mind, open your voice, and be part of the frequency of change. It’s time for more compassion, more kindness, more courageous commitment….and it’s time for us to embody love. Cost: $40.00 per person in advance, $45.00 per person at the door. Jai-Jagdeesh’s journey as a singer began over 20 years ago, in a temple in India, and the soundcurrent continued all through her childhood. She attended boarding school in Dehra Dun (Uttar Pradesh) and Amritsar (Punjab) for her entire education. This time spent in Northern India set the foundation for a deep connection to the sacred texts of the Kundalini Yoga tradition & the Sikh faith. Between then and now, her creative spirit has walked many artistic paths: actress, classical Indian dancer, photographer and writer. Music returned to the forefront in 2011 with the release of her debut album, ‘I Am Thine‘. Her second full-length album, ‘Of Heaven & Earth‘, shot to #6 on the Billboard New Age chart within weeks of its release. 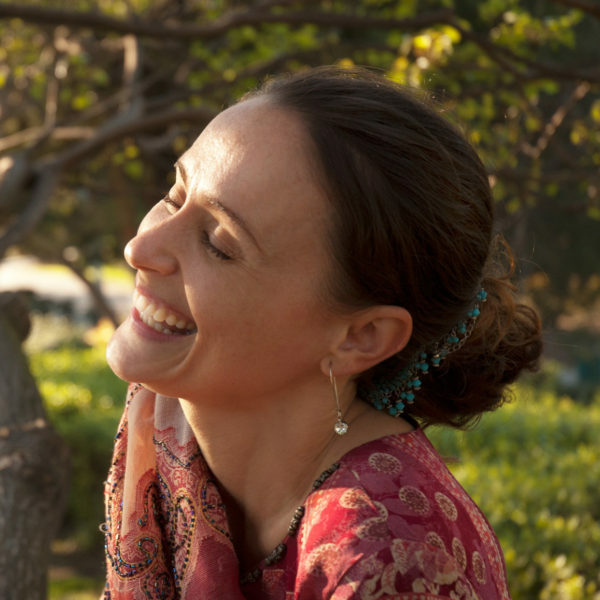 Her two meditation albums, ‘The Expansive Spirit‘ (2012) and ‘Miracles Abound‘ (2015) are beloved by yogis and yoga teachers around the globe. Jai-Jagdeesh continues to record, perform, and express her heart’s deepest creativity. She is completely devoted to sharing these sacred sounds, and sings them from the center of her heart. With humility, grace and kindness, she brings a bit of dance and lot of love to the world of kirtan.